Fine Arts teaches the how and the why of making. 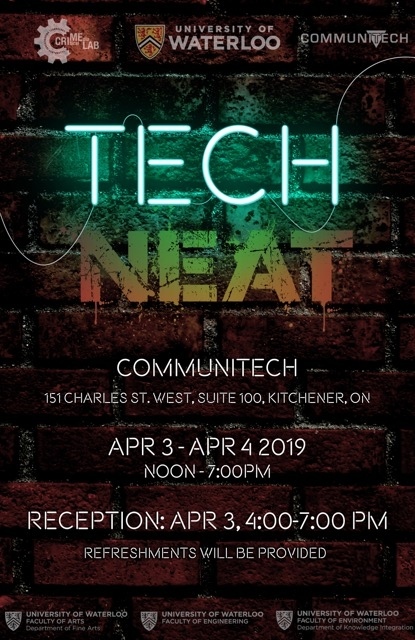 The how involves a wide-range of material and digital skills from ceramics, painting, print media, and photography, to cutting-edge technologies such as 3D printing, digital imagery and DSLR filmmaking. The why helps students develop criticality in visual culture—a rigour that hones an understanding of what things look like and mean within the current global condition. Our faculty is outstanding, and students often work with them one-on-one. Undergraduate students major or minor in Studio and/or Visual Culture; they can also participate in co-op through Waterloo’s Arts and Business program with a Fine Arts major. Graduate students pursue a Master of Fine Arts (MFA) with its unique Keith and Win Shantz International Research Scholarship. Fine Arts acknowledges that we are on the traditional territory of‎ the Neutral, Anishnawbe and Haudenosaunee peoples. The University of Waterloo is situated on the Haldimand Tract, the land promised to the Six Nations that includes six miles on each side of the Grand River. 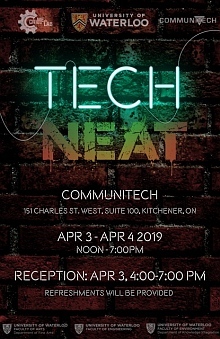 FINE 392 / GENE 499 / INTEG 375 final exhibition techNEAT. See how Engineering, Fine Art and Knowledge Integration students collaborate on works that combine art and technology in interdisciplinary ways. 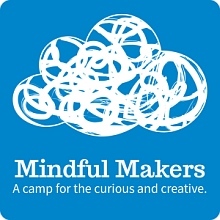 Mindful Makers is taking applications for instructors for their summer camp programs. There is a rolling deadline until April 5. The Department of Fine Arts and UWAG present the first of two thesis exhibitions by Master of Fine Arts (MFA) candidates from the graduate program in Fine Arts at the University of Waterloo. MFA Thesis gives the campus and community-at-large an opportunity to see the end result of two years of intensive research and studio production by emerging visual artists. 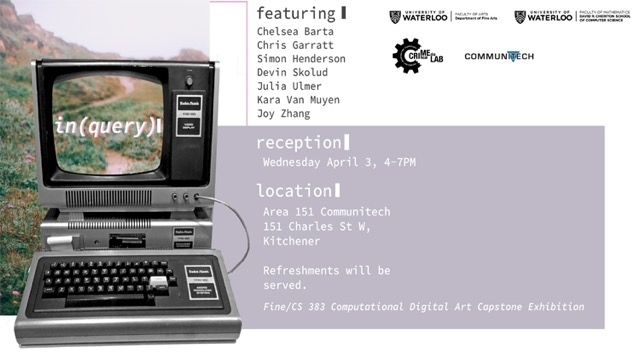 The Department of Fine Arts and UWAG present the second of two thesis exhibitions by Master of Fine Arts (MFA) candidates from the graduate program in Fine Arts at the University of Waterloo. MFA Thesis gives the campus and community-at-large an opportunity to see the end result of two years of intensive research and studio production by emerging visual artists.